We’re settling into the routine of walking for 8+ hours a day. From afar, our life sounds pretty mundane: wake up, walk, eat lunch, walk, make camp, make dinner, sleep. But there’s so many details in between that make it a rich experience; my trail journal entries seem like they get longer every day. 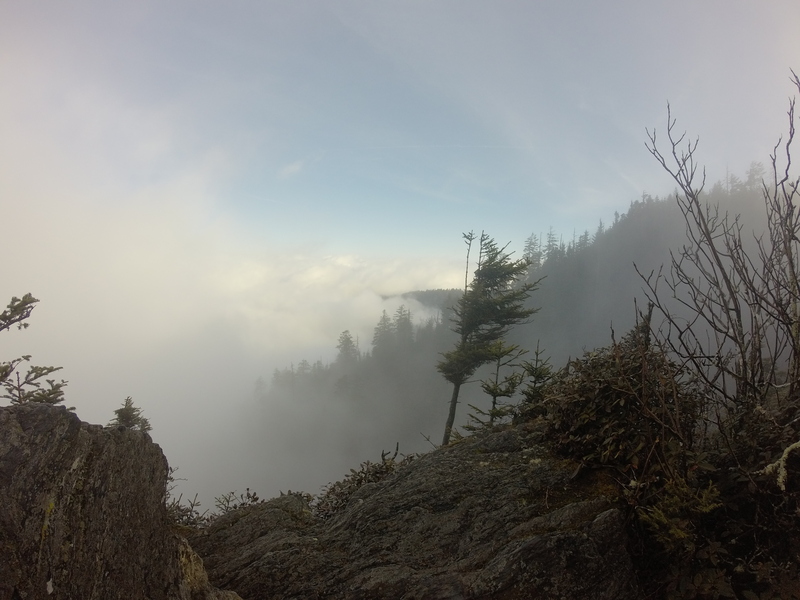 For now, though, let’s talk about the Smokies. Pretty much since the day we left Hiawassee, the Smokies hype began. Almost everyone we talked to had an opinion or a fear of the Smokies. Quick intro for those who may not be familiar – I’m referring to the Great Smoky Mountains National Park. 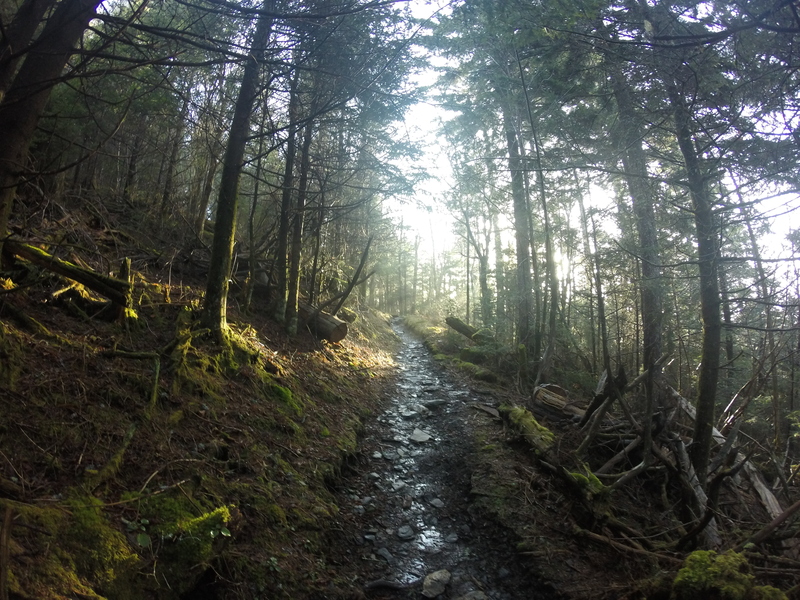 The Appalachian Trail traverses the Tennessee/North Carolina border from miles ~166 to ~240. Each thru-hiker is required to purchase a $20 permit and carry it with them at all times while in the park. You have 8 days to hike the entirety of the park. While you are in the park, you must stay in the shelters provided (notorious for mice and general filth), unless they are already full. Section hikers have the power to take your spot in a shelter, which means you might have to set up your tent unexpectedly. Enough rules for you? Clearly, the regulations alone are a talking point. As if that weren’t enough, rumors began flying about the prevalence of norovirus in the park. For those who may not know – norovirus is basically a nasty stomach flu that lays you up for a few days, usually contracted because of cleanliness practices regarding pooping. No one wants to lose days of their hike laid up in bed. So, as we got closer to the park we became more and more nervous about getting sick, about staying in the shelters, and about the weather (snow was in the forecast). We arrived at the “Hiker Hilton”, a shelter near the entry point of the park amidst a cold drizzle. We set up our tent and ate our dinner in the miserably cold rain because we imagined the shelter was basically a freestanding norovirus trap. Just as we were settling into bed…snow. Wet, heavy snow accumulated on our tent all night. By morning, everything inside the tent was a wet mess. Our tent is not made for winter weather. Then I stepped outside. It was a gorgeous winter wonderland….and everything was covered in frozen snow. Our packs were totally soaked and frozen, and the rope for our bear bags had frozen to the limb and wouldn’t come down for a solid 10 minutes or so. Trying to close our tent up, I managed to rip the mesh because everything was so fragile. I was not happy. Still with me? I promise this story is almost over. We proceeded to walk to the visitor center to try to catch the shuttle to the lodge, where we intended to spend the night. We soon discovered there’s no cell phone service at the dam, and there’s no courtesy phone for the shuttle. Desperate, we approached a couple hikers being dropped off and asked if they had cell service. We explained our predicament, and we were rewarded with the most amazing trail magic – we got a ride to the lodge! The gentleman was dropping off his wife and her college roommate who were about to start the Smokies. John, if you read this, thank you again for the ride that saved us from an absolutely miserable morning! The shower I subsequently took was the best shower I imagine I will ever experience. Now that I have bored you all to death with the details of the lead-up to the Smokies, here’s what actually happened. It kinda sucked. 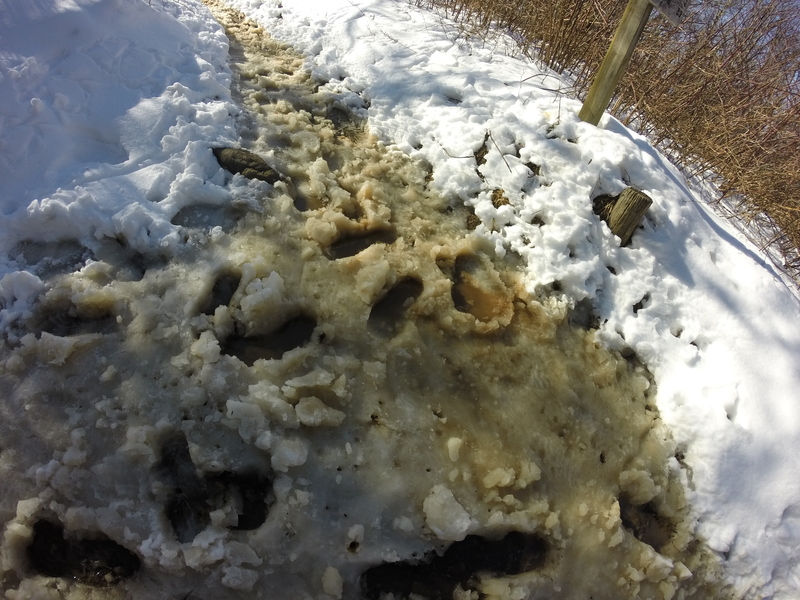 The snow subsequently turned to a slushy mess, and we essentially walked in ice water for 3 days. Our feet were a mess and I learned that I am a VERY grouchy person when I have to wake up in the cold. I have the hiker hunger in a bad way, so I was hungry the entire time, which also did not make me a happy camper. Caleb was such a good sport, he is a trooper for dealing with my early morning grumbles and tears and cheering me up every time. However, it wasn’t all bad. We saw some beautiful views, met some great people, and learned that the shelters actually aren’t that bad. Stepping under a shelter with only 2 occupants just as it begins to rain is a triumph. We watched a Ridge Runner put her spoon directly onto the shelter bench and never met a sick person, so our noro fears turned out to be pretty unfounded. We pushed big miles and managed to hit a couple 20+ mile days. All in all, we finished it up in 4 days and got some awesome trail magic the morning we left the park: a bin full of chips, candy, and beer! I can tell you all about Trail Magic another day, for now I think this has been quite enough information for one post. Our next scheduled stop is in Damascus, Virginia. Until then, here’s some of the best shots from the Smokies. Thank you to everyone reading and supporting us! So much fun to hear about your adventure. We are praying for your health and safety. Thanks for sharing. So glad you are enjoying (mostly), alive and well! Sounds like a good time, wishing you and Caleb the best. I really like the blog; it is great to be able to follow you through the posts. What tent are you using that didn’t hold up well? We have the Tarptent Double Rainbow. Overall it’s held up, I think the cold just made everything a little more fragile and I wasn’t being careful.